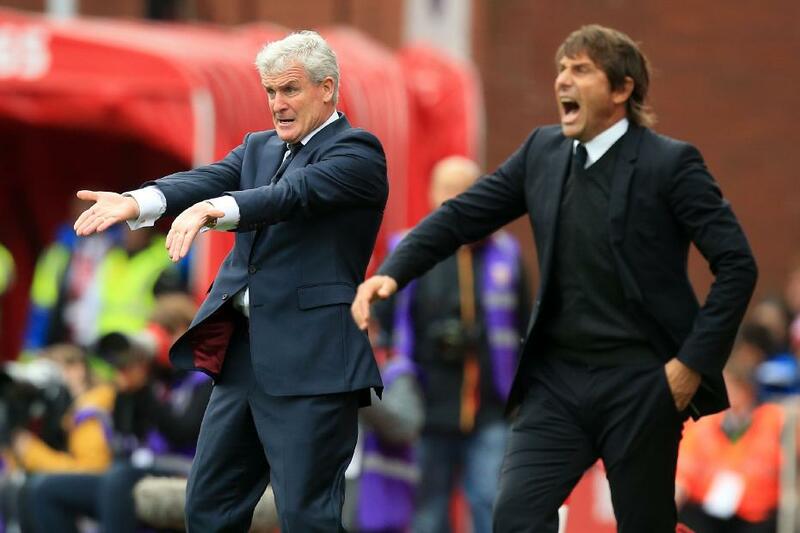 Mark Hughes welcomes Chelsea to St Mary's Stadium on Saturday and, win or lose, he will make his mark. If the Welshman secures a first top-flight win since taking over at Southampton, he will become only the third manager to beat the Blues in the Premier League with four different clubs. Hughes has secured victories over Chelsea, for whom he made 95 PL appearances, when he was in charge of Blackburn Rovers, Manchester City and Stoke City. The other managers to achieve the feat are Roy Hodgson and Sam Allardyce. Hodgson masterminded victories over Chelsea when manager of Blackburn, Liverpool, West Bromwich Albion and Crystal Palace, while Allardyce overcame the Blues when in charge of Bolton Wanderers, West Ham United, Sunderland and Palace. However, Hughes is also looking to avoid a recurring personal theme from this season. Defeat by the west Londoners would not only represent a blow to Southampton's hopes of avoiding relegation, it would also be the third time that Hughes would have been beaten by Chelsea this season, having suffered two losses while in charge of Stoke. Only one other manager has suffered three defeats at the hands of the same opponents in one season: Graeme Souness lost three times to Arsenal as manager of Blackburn and Newcastle United.